Emotions are essential for learning. They drive our attention, enrich our memories, and underlie our executive functions. If we are not addressing emotions in our classrooms, then we are not addressing how students learn. However, there is incredible variability among students in our classrooms—each brings a unique background, emotion, and readiness to learn every day. In all these ways, our brains are as unique as our fingerprints. This variability may feel overwhelming for teaching: How can we possibly design learning experiences that support all the content we need to cover for the full range of our learners? The good news is that we already have many of the necessary tools and strategies we need in order to support emotional design for learning in our classrooms. 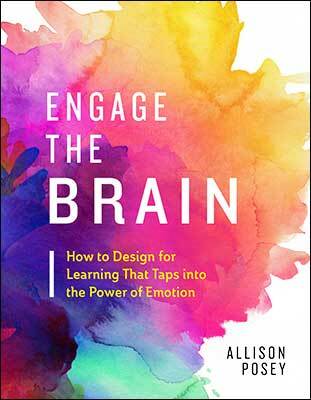 In this webinar with curriculum and design specialist Allison Posey, author of Engage the Brain: How to Design for Learning That Taps into the Power of Emotion, learn six steps educators can use to shift their perspective of how and why we use these strategies to align with what we know about emotions and the learning brain. Allison Posey is a curriculum and design specialist at CAST, the Center for Applied Special Technology. There, she engages in curricular design, leads professional development trainings for the Universal Design for Learning framework, and supports online course instruction.